Baby Blanket-38” x 40.” 6/2 unmercerized cotton sett at 24 epi. 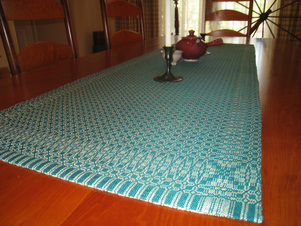 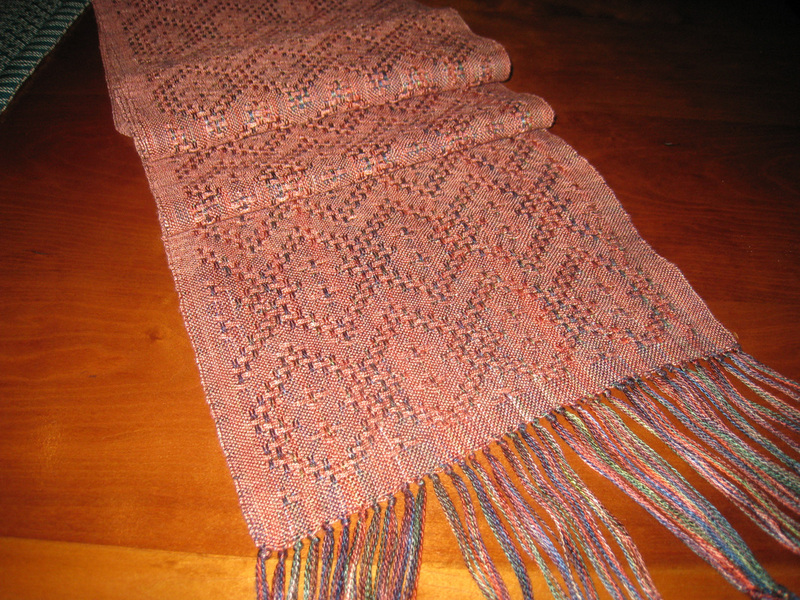 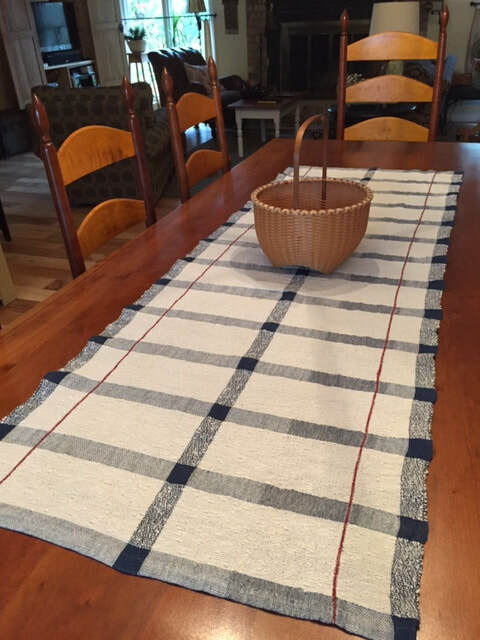 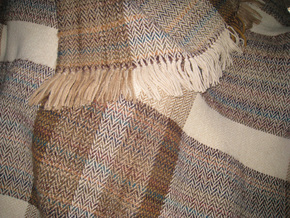 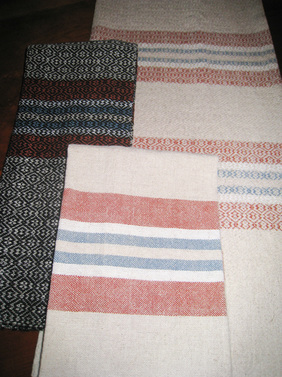 Table runner-linen and slub cotton. 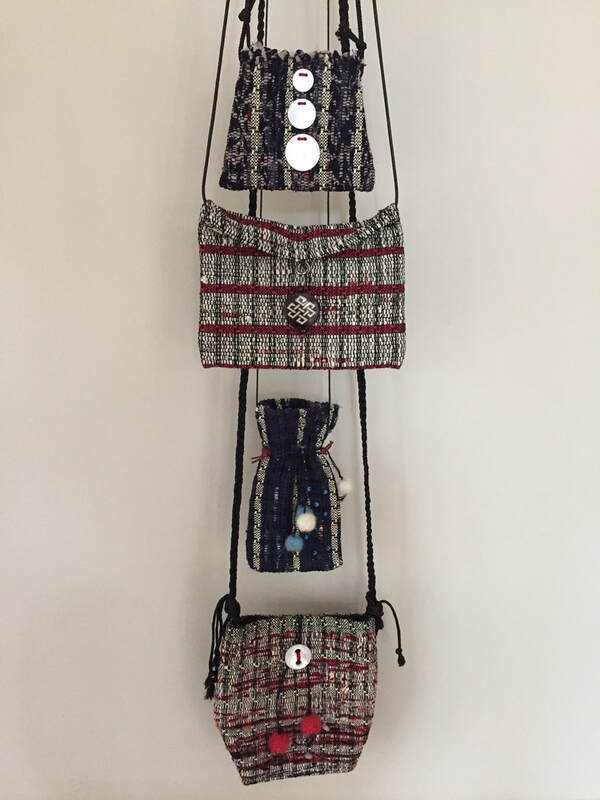 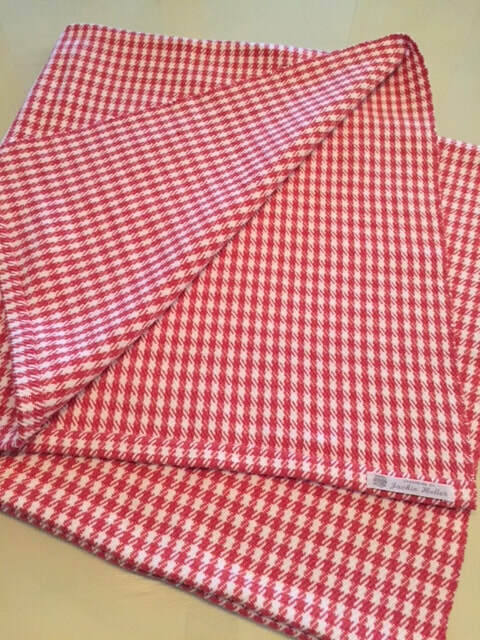 Plain weave and sewing machine stitched (red stripes) to cover a threading error!